Faruqi & Faruqi, LLP, a leading national securities law firm, is investigating potential securities fraud at Vipshop Holdings Limited (“Vipshop” or the “Company”) (NYSE: VIPS). The investigation focuses on whether the Company and its executives violated federal securities laws by failing to disclose that: (1) Vipshop manipulated and overstated its sales, receivables, profit, cash flows, and asset accounts; and (2) Vipshop's financial statements contain GAAP violations by reporting revenue on a gross basis even though the majority of Company sales are conducted under a consignment arrangement. If you invested in Vipshop stock or options between February 17, 2015 through May 11, 2015 and would like to discuss your legal rights, please contact us by calling Richard Gonnello toll free at 877-247-4292 or at 212-983-9330 or by sending an e-mail to rgonnello@faruqilaw.com. 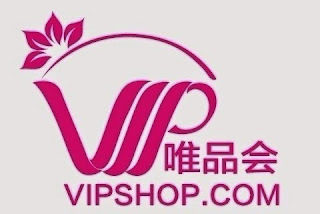 Faruqi & Faruqi, LLP also encourages anyone with information regarding Vipshop’s conduct to contact the firm, including whistleblowers, former employees, shareholders and others.